Life can be difficult. But does God care? 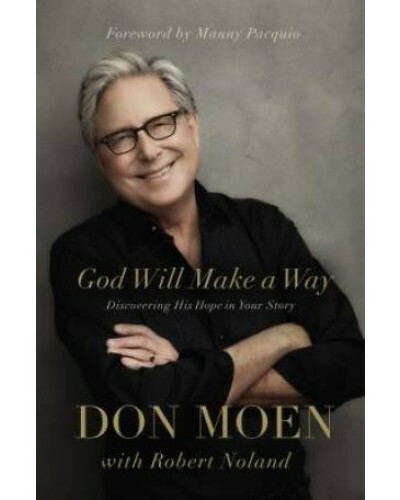 Don Moen has learned to lean on God’s promises in good times as well as bad and he says, “You can still trust Him.” In his new memoir, through heartfelt stories reminiscent of Max Lucado, “Papa Don” weaves a blanket of gentle comfort for people looking for answers. 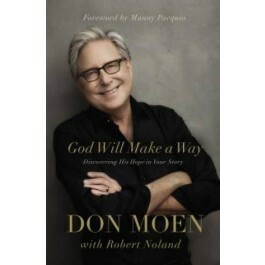 Don asserts, that God has not forgotten us even when… We face a job loss We go through an unexpected divorce We receive a bad report from the doctor We face the death of a loved one As Moen writes, “God is always working in ways we cannot see.” As a beloved songwriter and worship leader, Don Moen is the author of classic songs like “Thank you, Lord” and “God Will Make a Way”—the inspiration for this book. He knows what it means to feel anxious, worried, and down. And he knows what it means to persevere and see a new day. If you enjoy the encouraging style of Max Lucado, and if you find comfort in the books of Gary Chapman, then you will love reading God Will Make a Way, a new release from Thomas Nelson.